1. All amateur and professional photographers, 18 y/o and above may join the contest. 2. A contestant can only submit (1) entry for the duration of the contest. Entries exceeding the maximum number will not be accepted. 3. Each entry should have a corresponding one-liner caption that would not exceed fifteen (15) words. The caption should best describe the entry and can be used to market the picture. 4. All entries should be unedited. Basic manipulation such as contrast adjustment, minimal color balancing, sharpening, and/or cropping is not allowed. 5. Identifying marks such as date stamp, copyright, watermark, signatures, or frames on the photo are not allowed and will be disqualified from the contest. 6. All images submitted must be original works of the participant and must have not been submitted to any other contests. 7. The photograph must not contain obscene, provocative, defamatory, sexually explicit, or otherwise objectionable or inappropriate content. 8. If the photograph contains any material or elements which are subject to the rights of third parties, or if any persons appear in the photograph, the entrant is responsible for obtaining releases and consents necessary to permit the exhibition and use of the photograph set forth in the mechanics. 9. Photos must be digitally taken and submitted in JPEG format. It must be at least 300 dpi (or tall, if a vertical image). File size must be at least 1.5 MB (maximum of 3 MB). Bigger size may be requested if later declared a winner. 10. Submission of entries is on or before November 13, 2017. All entries must be submitted thru our email address ([email protected]) with corresponding name of the participant and caption. No grace period shall be given to the participants. 11. There will be two (2) categories for the participants. The first category will include hospital staff while the second category comprise of hospital guest. 13. The judges will choose five (5) entries from each category. Finalists will be informed ahead of the awarding ceremony through an email and voice call. Judges' decision is final and irrevocable. 14. Contest winners will be announced during the fellowship night on November 25, 2017 and winning entries may be used in the newsletter of the hospital. The winning participants should be present on the day of announcement of winners to receive their prizes. 15. Copyright of the photo/s remain/s with the contestant. 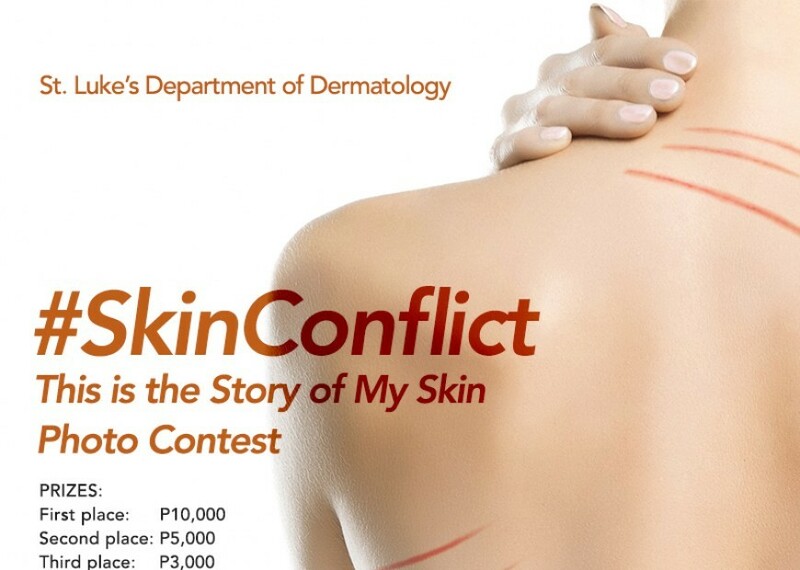 Nonetheless, by participating in the contest, the contestant shares his copyright with the Department of Dermatology as same will be used by the hospital in its existing and future projects, either in print, online, or other medium. 16. Dermatology Departmentreserves the right to modify the mechanics and contest rules as applicable to be announced only as deemed necessary from date hereof and cannot be contested as the change/s, if any, shall be considered in full force and effect.